The Tabakspanden project has finally started! 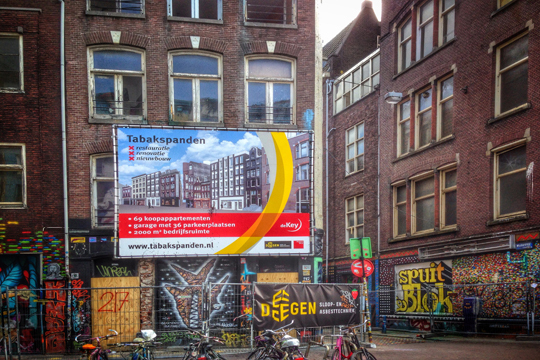 Situated just around the corner from the Dam square, Tabakspanden is a key revitalisation project in the historical centre of Amsterdam project that combines new & old, restoring the medieval alleyway structure and bringing new life to a run down part of the city. The dismantling of buildings that could not be saved has now commenced and will take place until the end of 2015. The restoration and building activities are planned for 2016. 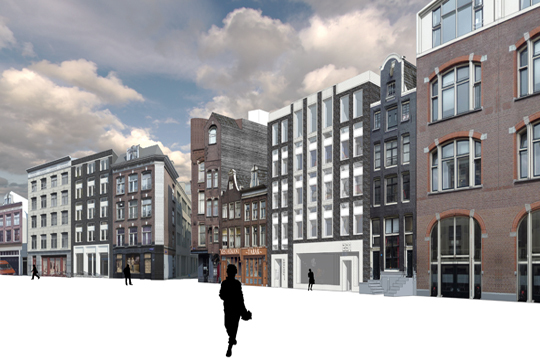 Colleague Vincent Smulders has made an extensive restoration plan for the many cultural heritage buildings on the site. 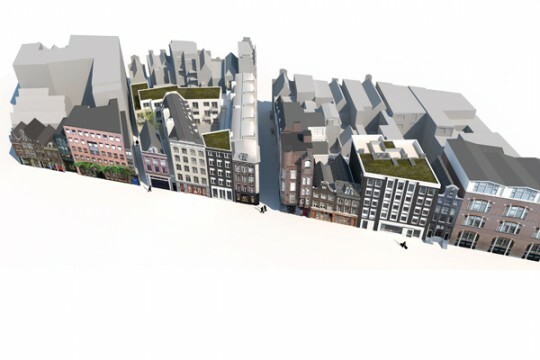 The buildings that cannot be restored will be replaced by new buildings, designed by Angie Abbink and Micha de Haas. The entire plan encompasses 69 apartments, of which 42 new, and 27 renovated, a parking garage and 2.200m2 commercial space, of which 40% will be dedicated to creative spaces such as ateliers and Artmall. Read more about the project and it’s history here.